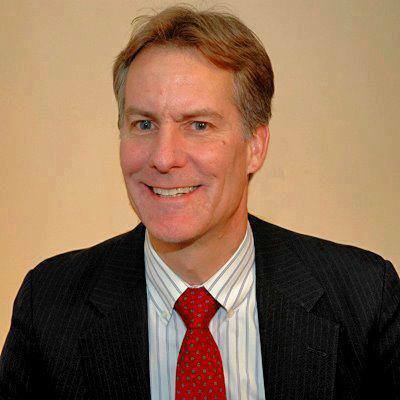 Revert2Islamtoday: US Professor Dr. Jeffrey Lang – How I embraced Islam? US Professor Dr. Jeffrey Lang – How I embraced Islam? Dr. Jeffrey Lang is a Professor of Mathematics at the University of Kansas, one of the biggest universities in the United States. He started his religious journey on Jan 30, 1954, when he was born in a Roman Catholic family in Bridgeport, Connecticut. The first 18 years of his life were spent in Catholic schools, which left him with many unanswered questions about God and the Christian religion, Lang said, as he narrated his story of Islam. “Like most kids back in the late 60s and early 70s, I started questioning all the values that we had at those times, political, social and religious,” Lang said. “I rebelled against all the institutions that society held sacred including the Catholic Church,” he said. By the time he reached the age of 18, Lang had become a full-fledged atheist. “If there is a God, and he is all merciful and all loving, then why is there suffering on this earth? Why does not He just take us to heaven? Why create all these people to suffer?” Such were the questions that came up in his mind in those days. As a young lecturer in mathematics at San Francisco University, Lang found his religion where God is finally a reality. That was shown to him by a few of the Muslim friends he had met at the university. “We talked about religion. I asked them my questions, and I was really surprised by how carefully they had thought out their answers,” Lang said. Dr. Lang met Mahmoud Qandeel, a regal looking Saudi student who attracted the attention of the entire class the moment he walked in. When Lang asked a question about medical research, Qandeel answered the question in perfect English and with great self assurance. Yet at the end Qandeel surprisingly gave him a copy of the Qur’an and some books on Islam. Lang read the Qur’an on his own, found his way to the student-run prayer hall at the university, and basically surrendered without much struggle. He was conquered by the Qur’an. The first two chapters are an account of that encounter and it is a fascinating one. To the question how he finds it so captivating when the recitation of the Qur’an is in Arabic, which is totally foreign to him, he responds; “Why is a baby comforted by his mother’s voice?” He said reading the Qur’an gave him a great deal of comfort and strength in difficult times. From there on, faith was a matter of practice for Lang’s spiritual growth. Having a mind that accepts ideas on their factual merit makes believing in a religion difficult because most religions require acceptance by faith, he said. Islam appeals to man’s reasoning, he said. As faculty advisor for the Muslim Student Association, Lang said he viewed himself as the liaison between the student and their universities. He gets approval from university authorities to hold Islamic lectures. “The object of being their faculty advisor is to help them get their needs met as far as adjusting to the American culture and to procedures of the university. They appreciate the opportunity to have misconceptions corrected,” he said. Lang married a Saudi Muslim woman, Raika, 14 years ago. Lang has written several Islamic books which are best sellers among the Muslim community in the US. One of his important books is “Even Angels ask; A journey to Islam in America”. In this book, Dr. Lang shares with his readers the many insights that have unfolded for him through his self discovery and progress within the religion of Islam. I would like to read out an extract from Jeffery Laing’s book, “Even Angels Ask” in which he describes his first prayer. On the day I converted to Islam the Imam of the Masjid gave me a manual on how to perform Salah. How hard could it be pray I wondered? That night I decided to start perfroming the 5 prayers at their appointed time. Much of what I was saying was in Arabic so I had to memorize the Arabic transliteration and English interpretations. I poured over the manual of salah for a couple of hours before I felt confident enough to attempt my first prayer. I walked into the bathroom and opened to the section describing how to perform Wudhu, Like a cook trying a recipe for the first time, I followed the step-by-step instructions slowly and meticulously. Standing in the center of the room I aimed myself in what I hoped was the direction of Makkah. I glanced back over my shoulder to make sure that I had locked the door to my apartment. Finding that it was locked, I looked straight ahead straightened my stance, took a deep breath and in a hushed voice I pronounced “Allah-o-Akbar” I felt a little anxious, I couldn’t rid myself of the feeling that someone might be spying on me so I stopped what I was doing and went to the window, I glanced around outside to make sure no one was there. Then, I carefully pulled the curtains closed and returned to the middle of the room. Once again, I stood straight and whispered “Allah-u-Akbar” in a barely audible tone I slowly and clumsily recited the first surah of Quran and another short surah in Arabic. I then bowed with my back perpendicular to my legs. I had never bowed to anyone before and I felt embarrassed I was glad that I was alone. I stood up and recited “Sami’Allaahu liman Hamidah” and then I felt my heart pounding and anxiety mounting as I called out another “Allah-u-Akbar”. I had arrived at the moment when I had to perfrom Sajdah. Petrified I stared at the area of the floor, I could not do it, I could not lower myself to the floor like a slave dropping before his Master. It was as if my legs had braces on them that would not let me bend. I felt too ashamed and humiliated. I could imagine my friends laughing & watching me make a fool of myself. Poor Jeff! I could hear them saying. ’Please, please help me do this’, I prayed. I took a deep breath and forced myself to the floor.Now on my hands and knees,I hesitated for a brief moment and then I pushed my face to the carpet, ridding my mind of all other thoughts. I mechanically pronounced three times “Subhaana Rabbi Al A’laa’,”ALLAH-U-AKBAR” I called and sat back on my heels and put my face again to the carpet. I was determined to finish this no matter what.”Allah-u-Akbar” I called and lifted myself from the floor and stood up straight, three cycles to go I told myself. I had to wrestle with my emotions and pride the rest of the prayer but this got easier with each cycle. Finally, I recited the Tashahud and then I ended the prayer. Spent, I remained on the floor and reviewed the battle I had just been through. I felt embarassed for I had to struggle so hard to go through the prayer. With my head lowered in shame I prayed ‘Please forgive me my arrogance and stupidity, I have come from very far and have so very far to go’. At that moment I experienced something I had never felt before. A wave of coldness swept through me, which seemed to radiate from some point within my chest. It was much more than a physical sensation. It was as if mercy had taken on an objective form and it was now penetrating and enveloping me, I cannot say why but I began to cry. Tears began to run down my face and I found myself weeping uncontrollably. The harder I cried the more I felt the embrace of a powerful kindness and compassion. I remained on my knees crouched on the floor with my head on my hands, Sobbing for sometime. When I finally stopped crying I was completely exhausted but one thing I realised I needed Allah and prayer desperately. Before getting up from my knees I made one last dua, ‘O God If I ever gravitate towards disbelief again then please kill me first,rid me of this life, it is hard enough living with my imperfections and weaknesses but I cannot live another day denying YOU’ Prophet Muhammad PBUH’s last exhortation was for Salah (Prayer). The last moments of his life when he was so ill, 3 times he got up and asked Ayesha(raa), ’Have the muslims prayed?’ Ayesha(raa) said, ‘No, they are waiting for you’. He kept trying, he would bathe and then faint, finally he (saw) appointed Abu Bakr (raa) to lead the prayer. He (pbuh) didn’t give up,with the support of two men he reached for his Zuhr prayer. When Abu Bakr (raa) saw him he started to move back but the Prophet (pbuh) indicated to him that he should not move. And he said to he two men, ‘make me sit at his side’. They sat him down beside Abu Bakr (raa) and Abu Bakr (raa) prayed standing and the people prayed following the prayer of Abu Bakr (raa) and amongst the last words of RasoolAllah (pbuh) were ‘As-Salah! As-Salah!’ The prayer, The prayer!’ He added, “Fear Allah with regards to the slaves what your right hands possess”. This is Islam-Huquq-ullah and Huquq-ul-ibaad. I would like to end this discussion with a Hadith Qudsi in which Allah (swt) said, “I accept the Salah of one who humbles himself during it to My Greatness and who does not perform the Salah just for show and who does not spend the night in disobdience to Me and who spends the day remembering Me and who is merciful to the poor, The traveller and the widows and who is merciful to one who is suffering from a disease. He has a light like the light of the sun. I protect him by My Glory and the Angels guard over him. I give him light in darkness and dignity in the presence of ignorance and his example in My creation is like Firdous in Jannah”.